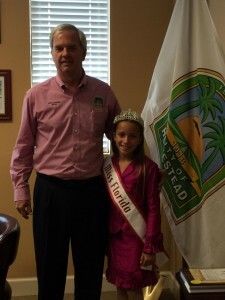 Julia Rowland, 2014 Florida Jr. 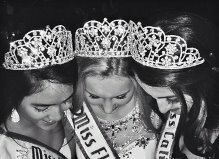 Teen Queen has had a busy year representing National American Miss. 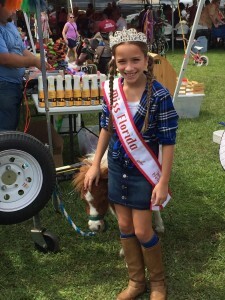 Julia Rowland, 2014 Florida Jr. 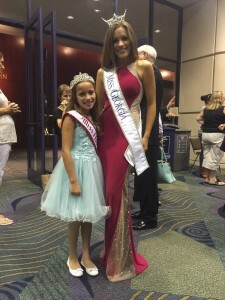 Teen Queen has had a busy year representing National American Miss. 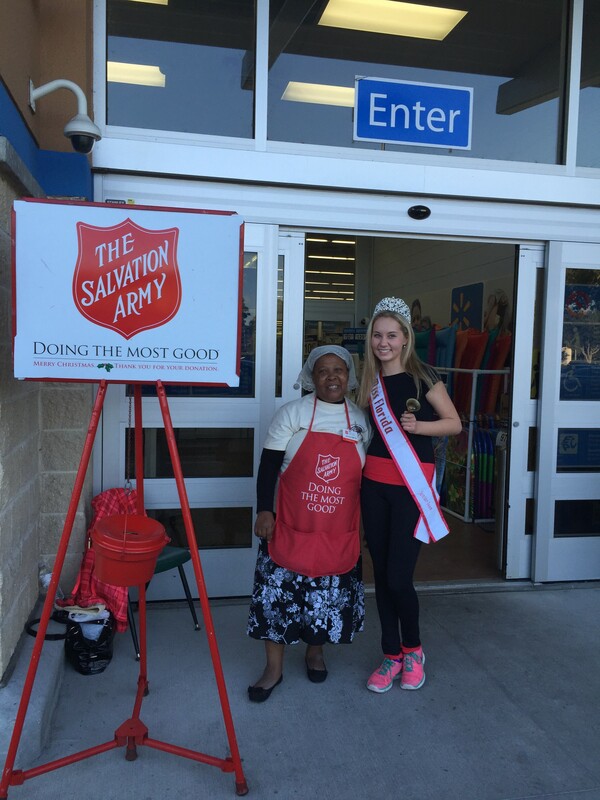 She had a blast during the holiday season volunteering with the Salvation Army spreading holiday cheer and giving back to her community. 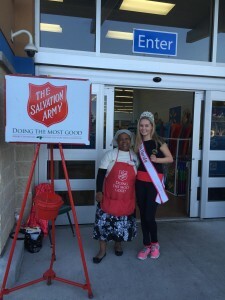 Julia also initiated Harvest for Heroes Outreach Project for her service project at nationals. 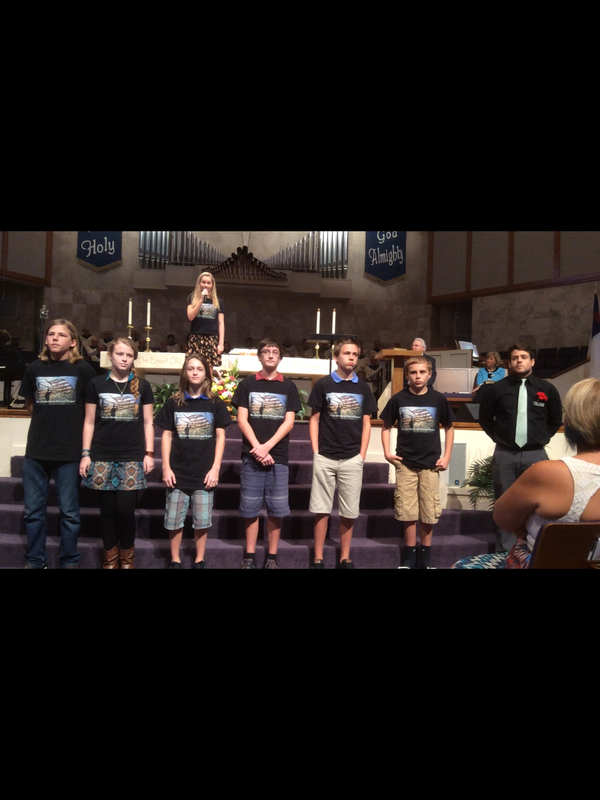 The purpose of Harvest for Heroes Outreach Project is to lift the spirits and meet the evolving needs of our Active Duty communities and provide volunteer opportunities for the residents of South Florida to express their appreciation to members of their Military. 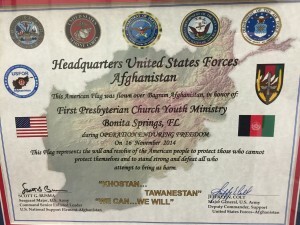 As a daughter of a retired Navy Captain and cousin of an Active Duty Army Soldier currently serving in Afghanistan, she understands what conditions the Military personnel are under and wanted to contribute by boosting our troops’ morale. 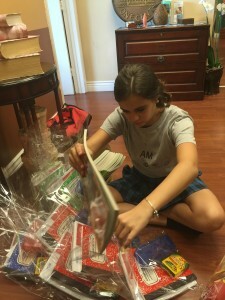 With the wonderful support of her church’s congregation, Julia was able to produce over 500 care packages. 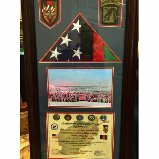 She was shocked and overwhelmed to have received a beautiful plaque along with a letter thanking her for her care packages from the United States Army troops serving in Afghanistan. 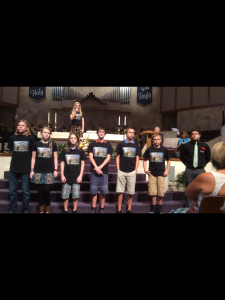 They even flew a flag over Bagram, Afghanistan in honor of Julia’s church. 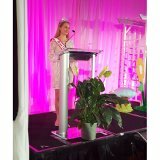 Julia also had an exciting weekend in Boca Raton representing NAM as the emcee at the American Girl Doll fashion show in support of the Palm Beach County Literacy Coalition. 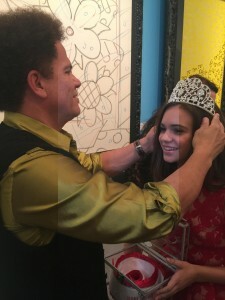 Author Matt LevertonPosted on July 11, 2015 Categories Community Service, Jr.Teen, pictures, Royalty, South FloridaTags busy, florida, In, jr, julia, nam, namiss, pageant, pageants, queen, rowland, teen, town., volunteeringLeave a comment on Julia Rowland, 2014 Florida Jr. 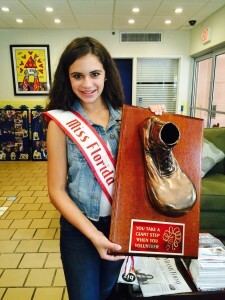 Teen Queen has had a busy year representing National American Miss. 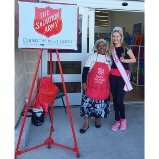 Author Matt LevertonPosted on May 6, 2015 March 30, 2016 Categories Community Service, Princesss, Royalty, South FloridaTags charisma, children's, featured, florida, helps, miracle, nam, namiss, network, news, on, pageant, pageants, princess, queen, south, tranLeave a comment on Charisma Tran, Miss South Florida Princess, featured on her local news. 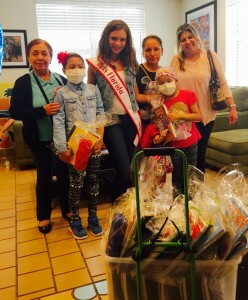 Author Matt LevertonPosted on October 15, 2014 March 30, 2016 Categories Community Service, Jr.Teen, pictures, Press Release, Royalty, South FloridaTags american, books, donates, featured, florida, jr, julia, local, miss, nam, namiss, national, news, outreach, pageant, pageants, project, queen, rowland, supplies, teenLeave a comment on Julia Rowland, Miss Florida Jr. 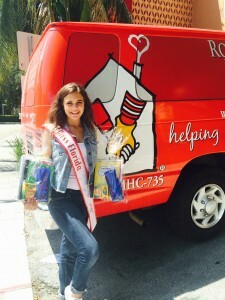 Teen, donates supplies to Project Outreach and is featured by her local news. Julia Rowland, 2014 Miss Florida Junior Teen Queen, she was featured in her local news and volunteered at Project Outreach. 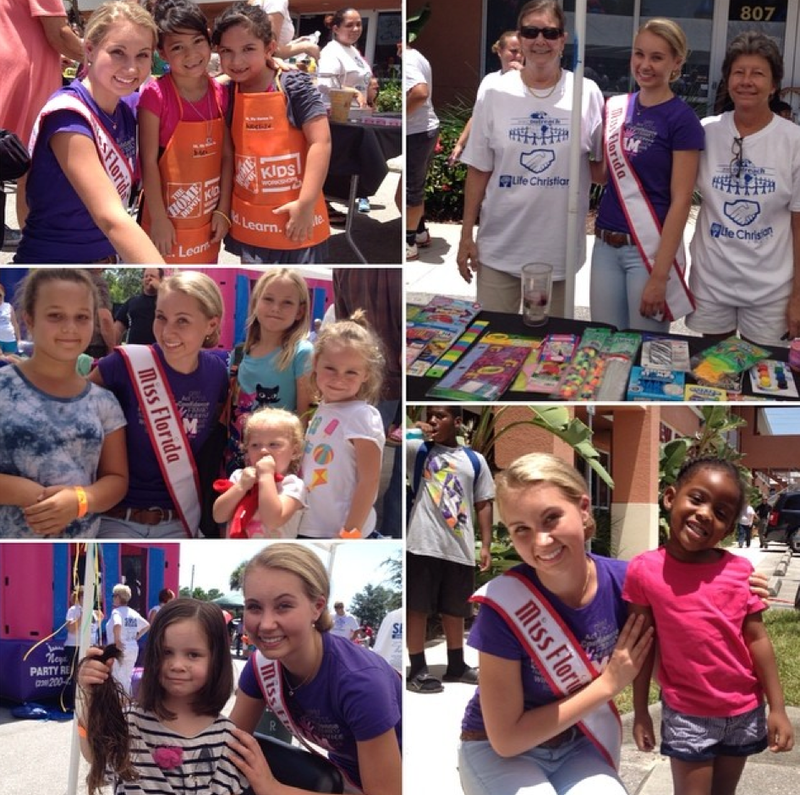 Julia Rowland, 2014 Miss Florida Junior Teen Queen, started her reign representing South Florida by donating school supplies and books to Project Outreach and she attended their Back to School Bash. 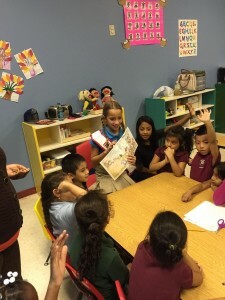 Julia was also featured in her local news, check out the link below to read the story. 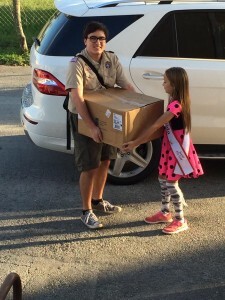 Author Matt LevertonPosted on October 2, 2014 Categories Community Service, Jr.Teen, pictures, Press Release, Royalty, South FloridaTags donates, featured, florida, In, jr, julia, local, nam, namiss, news, outreach, pageant, pageants, project, queen, rowland, school, supplies, teen, toLeave a comment on Julia Rowland, 2014 Miss Florida Junior Teen Queen, she was featured in her local news and volunteered at Project Outreach. 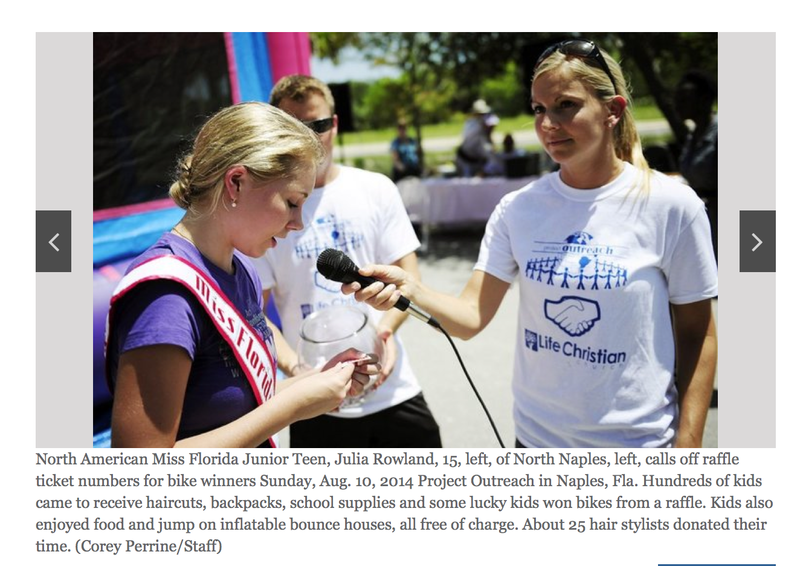 Jeanae Ganthier‏, Miss 2013 Florida Pre-Teen Queen, is featured in her local paper. 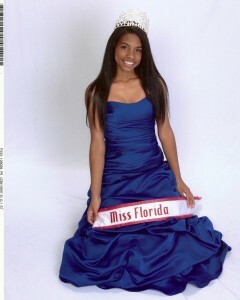 Jeanae Ganthier‏, National American Miss 2013 Florida Pre-Teen Queen, is featured in her local paper. 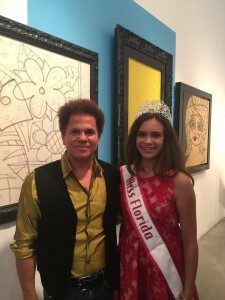 Author Matt LevertonPosted on June 18, 2014 March 31, 2016 Categories Background, General Information, pictures, Press Release, Royalty, South FloridaTags featured, florida, ganthier, In, jeanae, local, nam, namiss, newspaper, pageant, pageants, pre, queen, teenLeave a comment on Jeanae Ganthier‏, Miss 2013 Florida Pre-Teen Queen, is featured in her local paper.